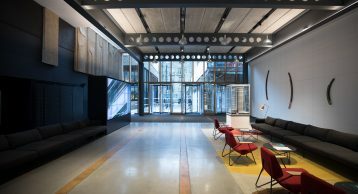 A landmark building located at the heart of London is home to modern office space, vibrant restaurants, and a thriving retail destination. 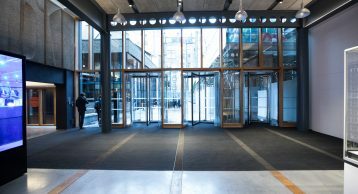 211 Old Street is an exciting project we are proud to have installed our flagship INTRAflex XT Entrance Matting Solution in. 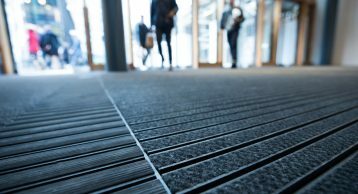 Find out how our Entrance Matting is playing a key role in preventing the ingress of soil and moisture in the building. 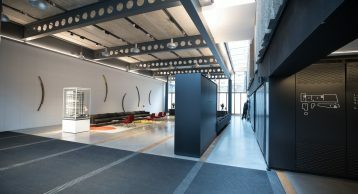 Our specification consultants worked with the client and the architects in determining the correct system, and the finish of the Entrance Matting to fit into the overall aesthetics of the building. This level of care and attention to detail allowed us to select a product that was aesthetically pleasing without compromising on the functionality. 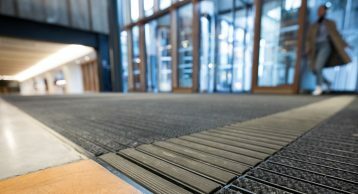 The INTRAflex XT Entrance Matting System uses quality INTRAlux Premier Fibre Matting to prevent the ingress of dirt particles into the building. Made with 100% recycled Econyl yarn this Fibre Matting helps lower the cleaning and maintenance costs as the mat prevents dirt from being dragged onto the hard floor beyond causing scratches. This helps lower the energy usage therefore ultimately reducing the carbon footprint of the building. 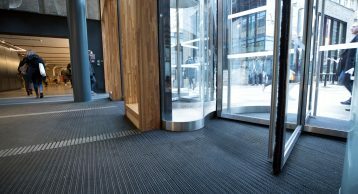 Our specification consultants advised using combination of Rubber and fibre inserts to make the Entrance Matting highly durable and effective. 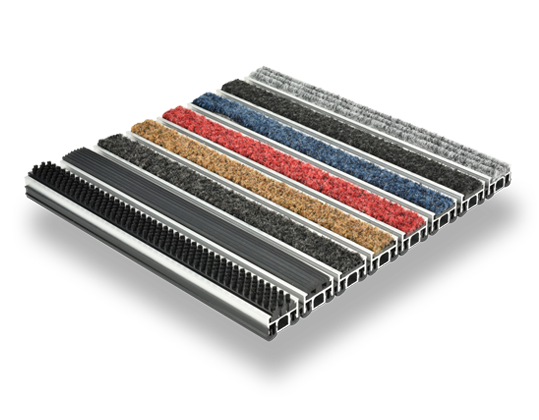 These inserts work in conjunction with each other to create a stunning yet functional Entrance Matting design. 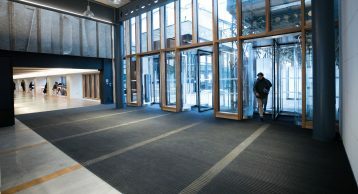 The versatility of our Entrance Matting means the design options are only limited by the client’s imagination. This client wanted a subtle design that incorporated fibre inserts with Rubber strips. We engineered a process which creates a stunning anodised finish on the aluminium profile. In this case the client specified a stealthy black finish, but our process can anodise a profile to any RAL Colours. 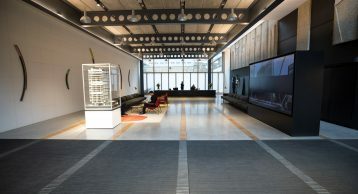 Check out our previous case studies for some design inspiration, from our innovative Disc Matting, to Chevron pattern, to multi-coloured matting solution – who says matting has to be boring!